Military Funeral Honors are arranged, if requested by the family, by our funeral home as part of our basic professional services. We believe that no family should have to handle these arrangements on their own. By allowing us to coordinate the honors for you, we are able to ensure that all of the necessary parties (Honor Guard, Veteran's Groups, etc..) are all properly informed as to when, where and how the honors will occur. 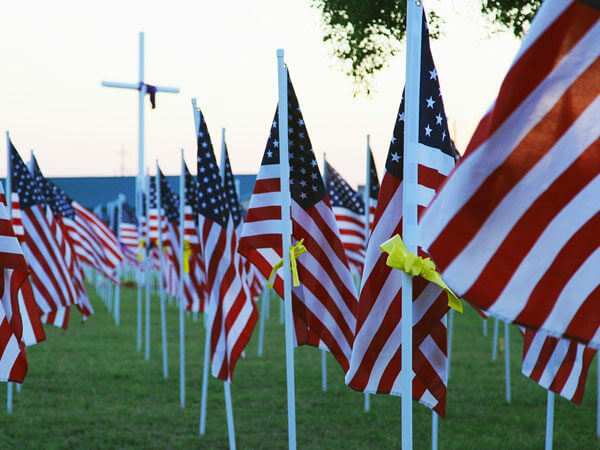 The Funeral Honors rendered to you or your veteran will be determined by the status of the veteran - honorably discharged veteran or honorably discharged retiree. The preferred method is the DD Form 214, Certificate of Release or Discharge from Active Duty. If the DD Form 214 is not available, any discharge document showing other than dishonorable service can be used. We can assist you in requesting discharge documentation from the National Archives if you're unable to locate a copy.